It’s 4:15 am. The wind is blowing sideways, whipping us in the face. I can barely see my hand in front of me, let alone the person two meters ahead. It’s freezing cold. The kind of cold that makes you reconsider your decisions. As we reach the top of Mount Kinabalu at 5:15 am; there is no sunrise to be seen nor anything resembling a mountain view. The thick clouds engulfed us, but we decide to stay until 7 am in the hopes that the weather will change. Timon is shooting daggers at me through his eyes. We are all huddling up like penguins in the Antarctic. It’s so damn cold, it would have been wise to bring warmer clothes. But it’s SE Asia, it’s supposed to be warm! We wait. Magically, right at 7 am, the first glimpse of sunlight breaks through a cloud. Within minutes, Mount Kinabalu can be seen in all her glory. Only about 15 people stayed through the misery to witness these views. After hiking up 2,200 meters in the pouring rain, the struggle was finally worth it. Sure, it would have been easier if we had a beautiful day, but working a bit harder made it all the more worthwhile. Timon’s sister visiting for three weeks while traveling around Sabah, Malaysia. We thought it would be great to bring her on her first big hike. After plenty of research, most of the information found online was expensive tours. 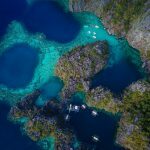 As independent travelers who are always budget conscience, we opted to book everything on our own, and in doing so, saved several hundred dollars between the three of us. 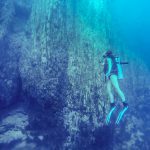 It may not seem easy based on many websites, which typically are tour companies promoting their services. However, booking the trip on our own was easy enough. This article to hiking Mount Kinabalu is a do-it-yourself guide that will help to save money for this amazing trip. To save money, book the trip directly with Sutera Sanctuary Lodges. Tour companies charge anywhere from 2,000-3,000 Ringgit ($500 – $750 USD) per person. By booking directly, you can save hundreds of dollars. 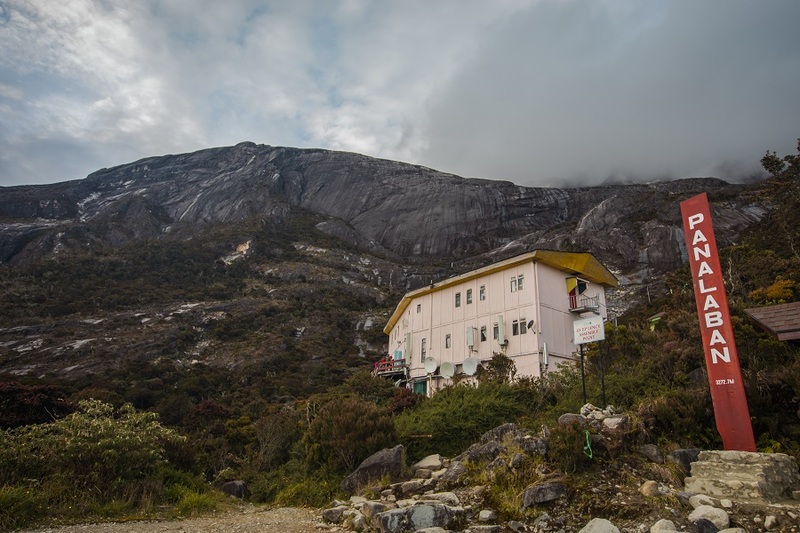 Mount Kinabalu offers 135 permits per day. To book a specific date, contact Sutera Sanctuary Lodges in advance to try to secure permits. Reservations can be made up to 30 days in advance. When booking accommodation directly with Sutera Sanctuary Lodges, payment of the park entrance fee, permit, and guide fees are paid to the park based on their published rates, and not a dollar more. With flexible travel dates and ability to stay in the area for a few days, it is possible to show up at the park office to book last-minute permits. Note: We heard of travelers who were able to get Malaysian rates during the low season with some convincing. We have no experience in doing this but it could be worth a shot. 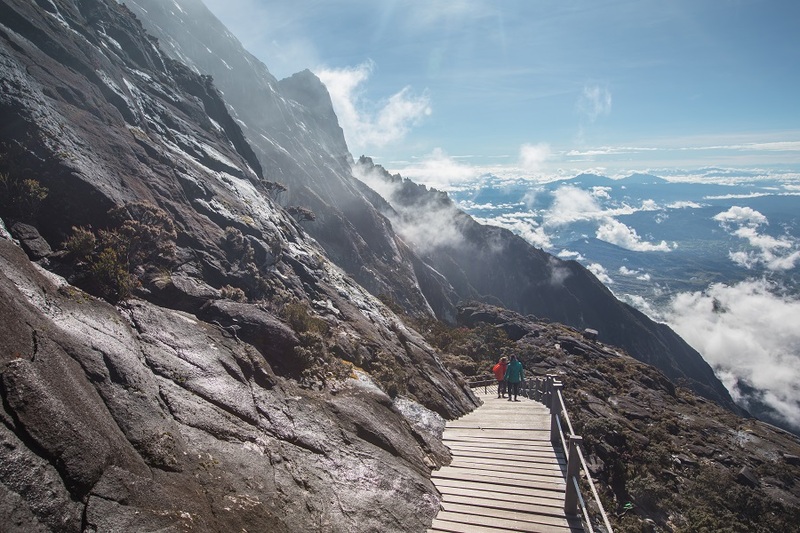 There are two via ferrata routes on Mount Kinabalu. What claims to be the highest via ferrata in the world is now actually the second highest behind Mount Kenya. It is still at an impressive altitude of 3,776 meters. 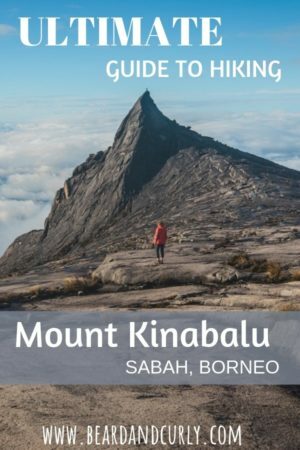 There is a beginners route, Walk the Torq, a 2-hour side trip down Mount Kinabalu, or the full Low’s Peak Circuit. 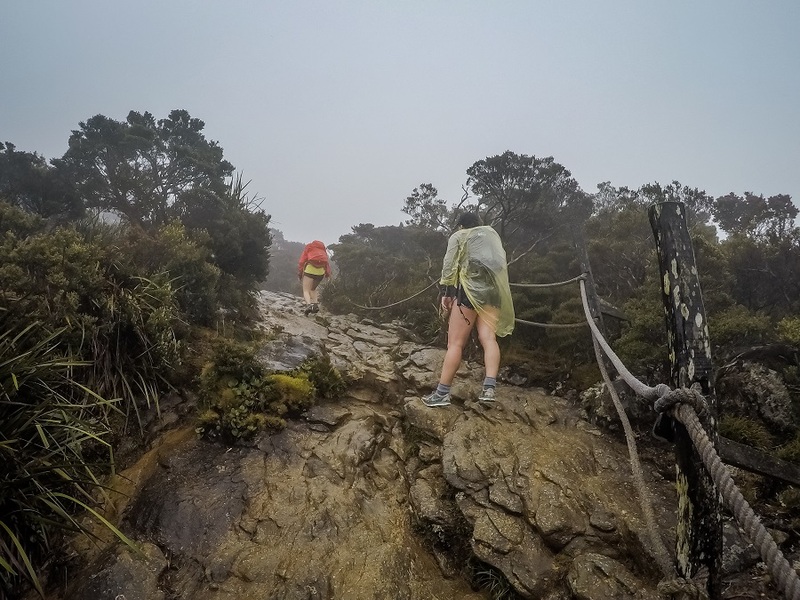 The LPC is a 4-6 hour hike after summiting Mount Kinabalu which includes 1.2 km of via ferrata cables, ladders, and suspension bridges. For booking the via ferrata, contact Mountain Torq. When booking direct, the 2D/1N Low’s Peak Circuit via ferrata route starts at 2,400 RM ($600 USD). All of the offices (Park HQ, Sutera, and Mountain Torq) are located beside each other right at the park gate. We decided against hiking the via ferrata not only because we hiked the one in Kenya and several others in Italy, but because the cost was not worth it for us. Total estimated cost: 1,400 RM ($350 USD) per person for a group of 3-4, or 1600 RM ($400 USD) per person for a solo hiker (not including via feratta). 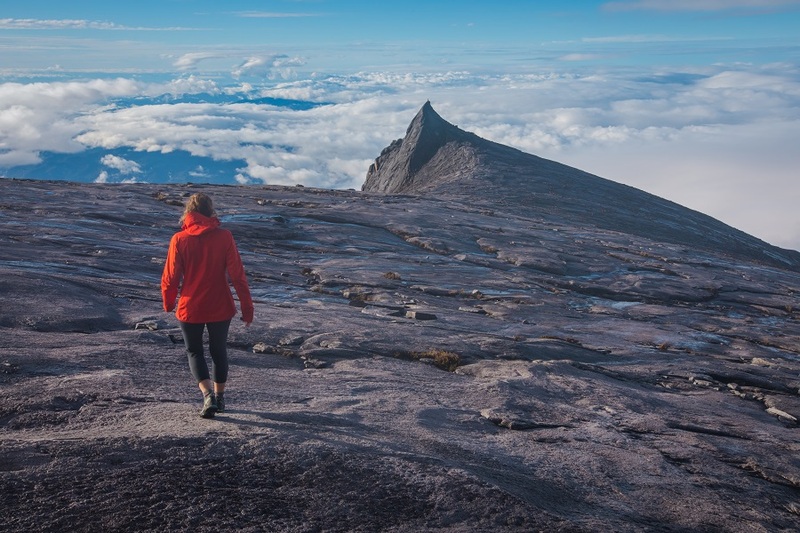 February through April are the best months to climb Mount Kinabalu. These months have less rain than the SW Monsoon period between May and July or the NE Monsoon period between October and January. The NE Monsoon period is the worst time to climb, as there are often heavy rains. At any time of the year, it is possible that the summit climb will be canceled due to inclement weather. Buses leave daily from Kota Kinabalu city center (Padang Merdeka bus stop) to Mount Kinabalu. All buses going to Ranau, Sandakan, and Tawau go by Mount Kinabalu. When the bus fills up, it will leave Kota Kinabalu. Tickets cost 25 RM ($6 USD) per person to Ranau, which is roughly 30 minutes past Mount Kinabalu. Make sure to tell the bus driver that you will be getting off at the park. Buses depart more often early in the morning and tend to wind down after 3 PM. With 3 or more people in one group, book a GrabCar from Kota Kinabalu. The cost is roughly 80 RM ($20 USD) for the private car. Because of the early morning start, it is best to stay the night before near Mt. Kinabalu. There are limited options for accommodation inside the park. It is better to stay outside the park gates, where there are several guesthouses and hotels to choose from. Budget: Jungle Jacks is a budget backpackers hostel with dorm rooms. A dorm bed is available for 50 RM ($13 USD), which includes all meals. They offer a package that includes 2 nights accommodation at Jungle Jacks, a climbing permit, 1-night accommodation in a mountain hut, a hiking guide, transportation, and all meals for three days for 1,980 RM per person ($500 USD). Mid-Range: Ayana Resort is a nice, but affordable hotel with private double and triple rooms. Rooms cost 80 – 100 RM ($20 – $25 USD) on Agoda. The hike typically takes between 4 and 6 hours depending on your level of fitness. We are fast hikers, so it took us just over 3 hours. 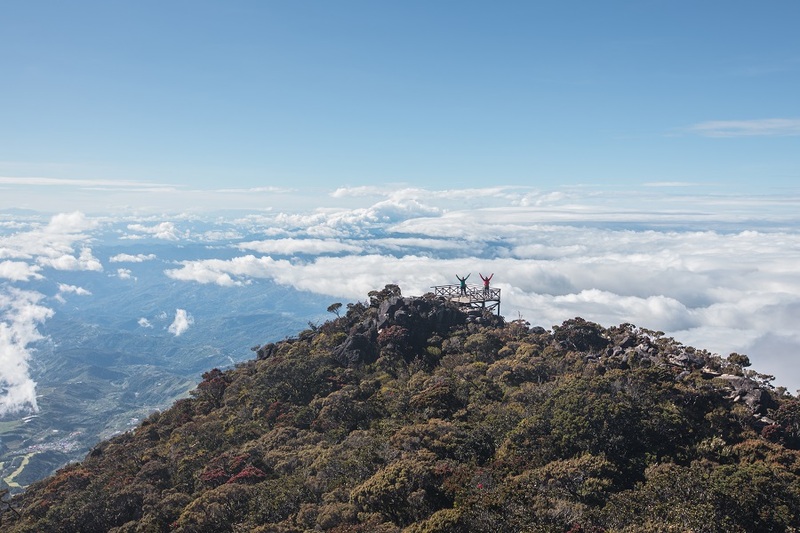 From the park headquarters (1,564 meters), it is a 15-minute shuttle ride to the beginning of the trail at the Timpohon Gate (1,866 meters). The beginning of the hike is through dense forest, passing Carson Falls. The climb begins right after that with manmade steps or rocks. There are huts for breaks nearly every kilometer. From the Tompohon Gate to Laban Rata Resthouse, it is a total of 5.5 km with an elevation gain of 1,407 meters (4,600 feet). The last kilometer is the steepest section of the first day. Don’t let the short distance fool you. Between the elevation and the hundreds of steps, it can be quite tough. Most groups leave for the summit around 1:30 am. Supper is served from 1 am until 2:30 am. If you are a fast hiker, wait to leave until 3 am. It’s better to wait in the warm resthouse than in the freezing temperatures at the summit. We were the last ones to leave right at 3 am. The first hour of the summit climb was pretty straightforward. The second hour was on exposed rock. Some sections are very steep with ropes to aid in climbing. It took us two hours to reach the summit. We couldn’t see a single thing due to the weather, and nearly all groups left the summit immediately. Luckily for Yana’s persistence, we waited and were lucky to do so. The rain stopped and clouds parted between 7 am and 7:30 am. While there was no sunrise, we had the entire summit nearly to ourselves. It definitely made the entire hike worth it. As avid hikers, we felt the hike was quite challenging considering how short it is. Most of the trail up to the resthouse is through a lush jungle where it commonly rains. A few hundred meters below the resthouse the trails leads above the clouds. Don’t be discouraged if it rains for most of the first day. At the summit, there is less chance of rain. If granted clear views, the summit is beautiful. The peaks are unique and stand at nearly 4,100 meters (13,451 feet) normally reaching above the clouds, making it truly surreal. Our guide was very friendly and did not push us to leave too early in the morning. The food was pretty good and it was way more than we could eat. They cater to vegetarians. The rooms were pretty small, and it was tough to move around in the 6-bed dorm when everyone was awake. Overall, this was an excellent hike with epic views and surprised us by being challenging. Start Time: All hikers must begin the hike before 10:30 am. Do not show up late. Guides leave and they likely will not let you start the hike. With that being said, like true Yana and Timon fashion, we were late. With lots of effort, we convinced the rangers to let us start. They had to call a guide to return to the mountain. We were lucky they let us go. Do not be like us. Difficulty: Even for advanced hikers, this is a steep hike. The total elevation gain is no joke. At an altitude above 3,000 meters (10,000 feet), it is possible to experience mild symptoms of altitude sickness. While it is not high enough for serious symptoms, you can definitely get headaches and feel nausea. Several people on our trip didn’t feel so well the first day. However, there are many inexperienced hikers. The trail is incredibly easy to follow. So if you want a challenge I say go for it! 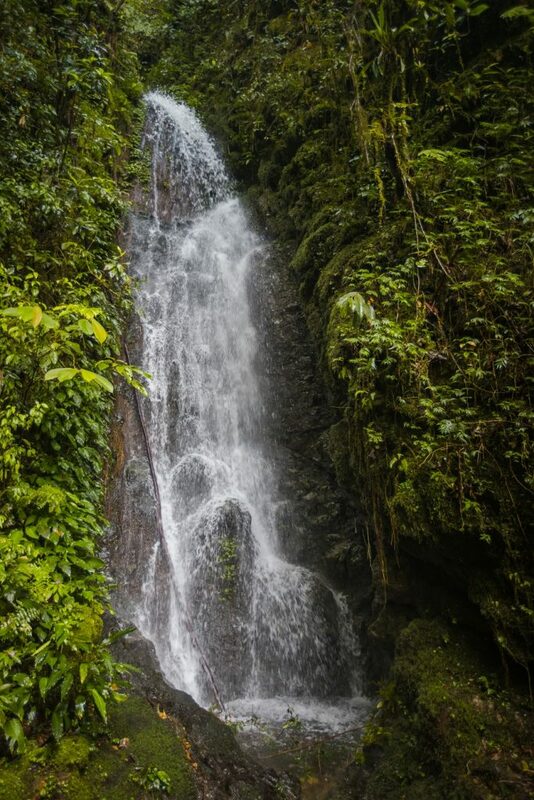 Rain gear: Sections of the trail are through a rainforest. It is known to rain at the summit. Make sure to bring proper rain gear which should include a jacket, dry bags for valuables, and a rain cover for your bag. In addition to rain jackets, we purchased a poncho for 2 RM before the hike, which came in handy when the rain was heavy. Food: Five meals are included with the stay at Laban Rata Resthouse. The buffet style food is pretty good. I would only bring snacks for the trail. The meals provided are a packed lunch before departure, which consists of a sandwich, apple, and bottled water. Dinner is served between 5 pm and 7 pm. Before the early morning ascent to the summit, supper is served from 1 am to 3 am. After the summit climb, breakfast is served from 8 am to 10 am. A buffet lunch is waiting at the end of the hike at the restaurant located by the park gate. Water: Water is not provided, but a 1.5 L bottle of water is available for 14 RM at the hut. Hot drinks are available at Laban Rata for all meals except dinner. A pitcher of hot water is available for 5 RM and is surprisingly really nice. Bedroom Situation: Thick blankets are provided, so there is no need to bring any bedding or sleeping bags. It actually got pretty hot in our room at night. There are lots of charging ports to charge cells phones and camera batteries. The rooms are very small, so expect to feel a little cramped. Stretch: Maybe we weren’t in our best hiking shape, but we were seriously sore for about 5 days after the hike. I strongly suggest stretching before the hike and after each day to help alleviate this. Trust me your calves with thank you. Packs: Men’s Osprey Aether 70L and women’s Osprey Aura 65L. 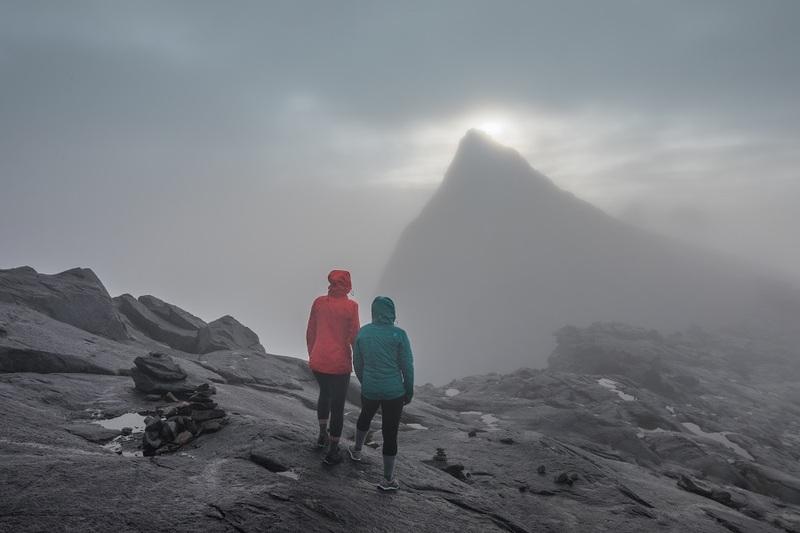 In full transparency, we collaborated with Sutera Sanctuary Lodges for our Mount Kinabalu hike. We were provided with complimentary stays at Laban Rata Resthouse for our party of three, in exchange for our blog post, honest feedback, and review, as well as social media coverage on our hike. 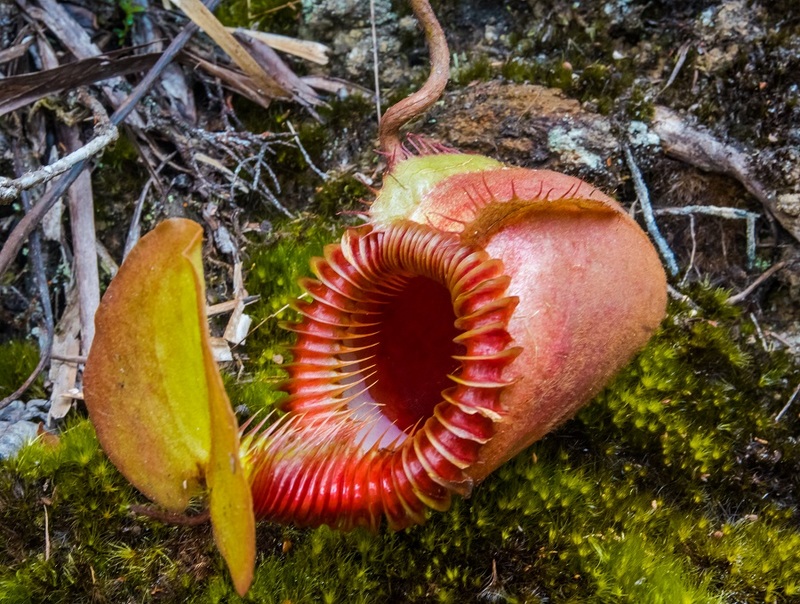 We paid for our Kinabalu Permits and guide, and while we did have a complimentary stay, in no way has Sutera Sanctuary Lodge had any say in the feedback or comments made in this blog post. 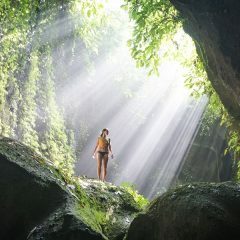 Everything is sincerely based on our personal experience. This article has affiliate links. Some links and banners will reroute you to another website. If you decide to make a purchase, we get a small commission, and it helps us with our website costs. We really appreciate your support for any purchases made through our affiliate links!